Say goodbye to the bright orange doors. 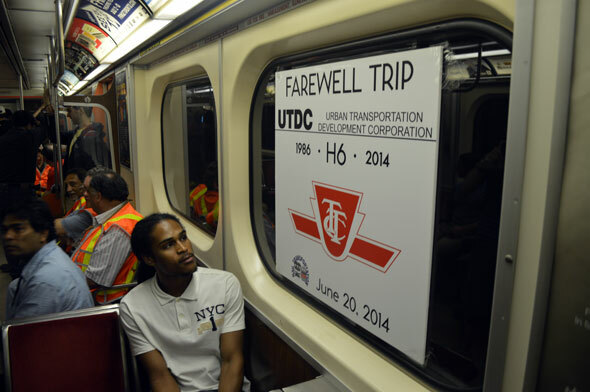 The last of the TTC's H6 trains -- the oldest in the current subway fleet -- has officially retired, leaving just the brand new Toronto Rocket and the Bloor-Danforth T1s (the ones with the red doors) in active service. 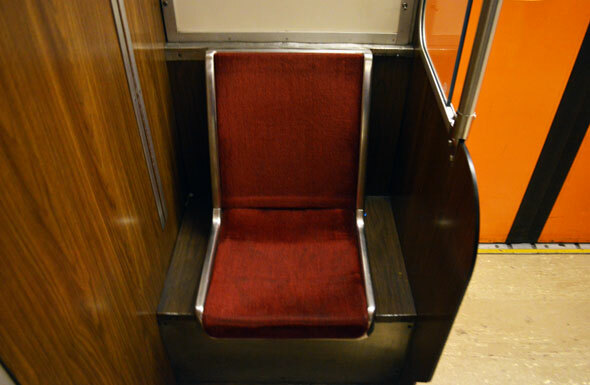 The last of the 27-year-old trains, distinguishable from other subway vehicles by their intense tangerine and wood-effect interior panels, narrow doorways, and rare single seats behind the driver's cab, embarked on a farewell circuit of the Bloor-Danforth line this morning, packed with a crowd of enthusiastic rail fans, some of them in fancy dress. 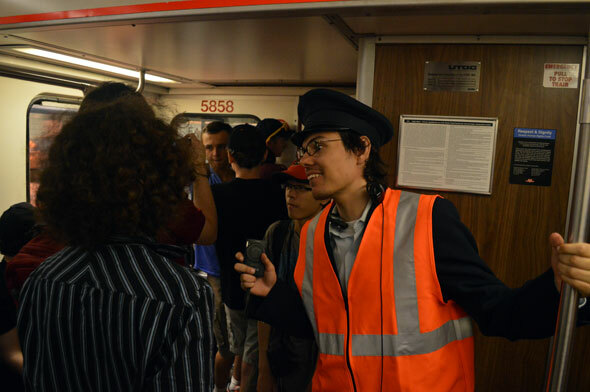 At one time, the TTC had a total of 126 H6 trains in service on the Yonge-University-Spadina and Bloor-Danforth lines. 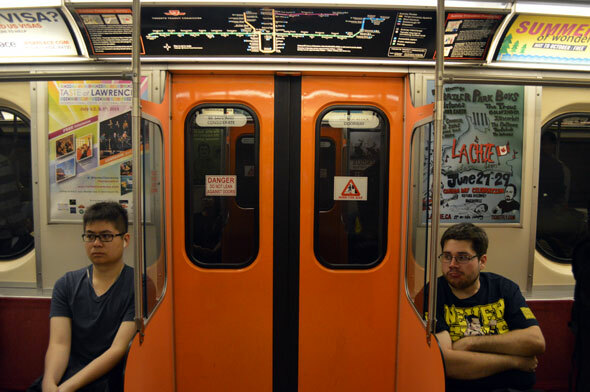 According to Transit Toronto, an authority on TTC history, each of the trains cost $1.15 million from the provincial Urban Transportation Development Corporation in the 1980s. The first of the fleet entered service in 1986 following construction delays and technical issues. "It's bittersweet, I guess," says Matt Brown, the head of the Greenwood carhouse where the H6 trains were stored and maintained. 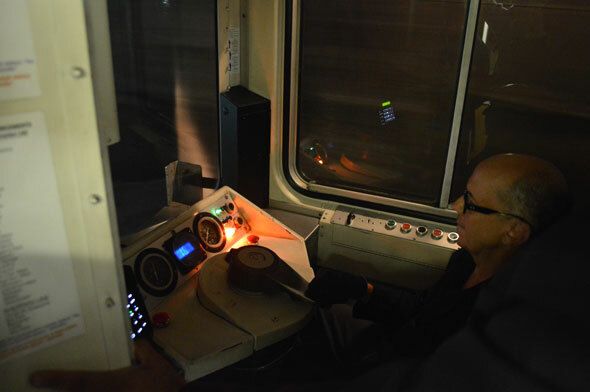 "They're the workhorse, they're a great train, they lasted and ran well for a number of years but it's time for them to go and to modernize the fleet." A retired H6 recently made a brief return to Toronto disguised as a wrecked San Francisco subway car. The creators of the Godzilla movie promo bought the train from a Hamilton scrap yard and assembled it to look like it was bursting through the ground. Unlike some of the previous generation of retired trains that were sold to a subway project in Lagos, Nigeria, the last H6 will be gutted and either scrapped or turned into a work car. For fans hoping to own a piece of subway history, the TTC is considering selling used parts on the Internet. "We are looking at things like the number plates on the exterior, seats, anything we might be able to salvage and re-sell, we are looking at that," says Brad Ross, the TTC's head of communications. "There's a desire to have some sort of a store. It would be online, we're absolutely going to do something."